Powered by Mom Blog shares another flash giveaway for a fun kid’s toothbrush! TGIF!! Time for a Flash Giveaway- sponsored by Mom Does Reviews. Halloween is right around the corner! This Sonicare Power Up Toothbrush is just the thing your kids will need to get that sticky candy out of their teeth! Did you know that using this toothbrush for a whole day is like getting a month’s worth of brush strokes on a manual toothbrush? It’s Amazing! 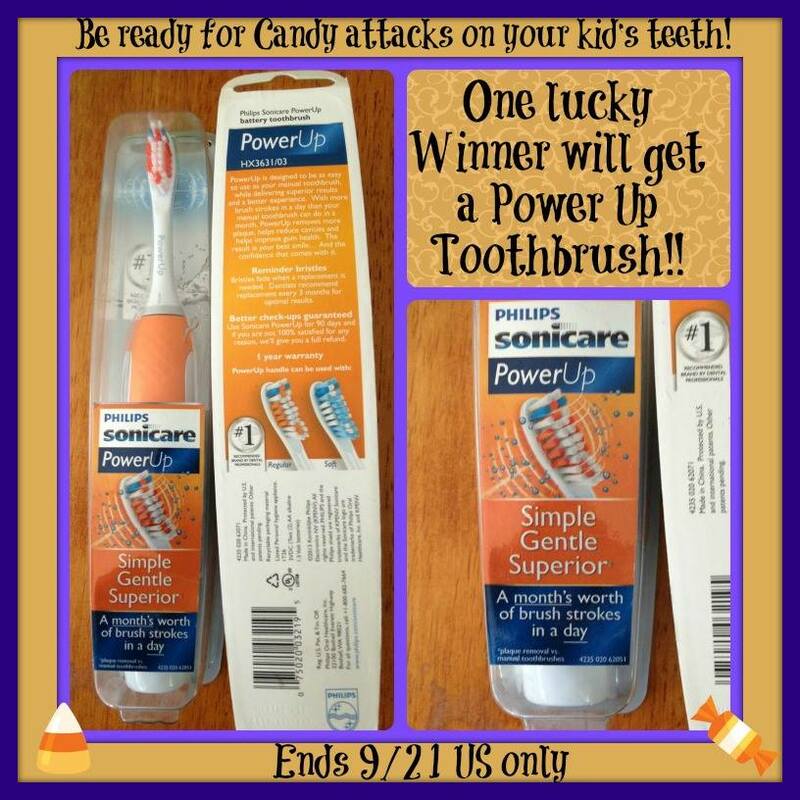 One lucky winner will get a Sonicare Power Up Toothbrush! The giveaway is super easy to enter on the rafflecopter below. Hurry, it ends 9.21 at 1159p est! Disclaimer: The participating bloggers were not compensated for this post. We are not associated with any of the companies named above. No purchase is necessary to enter. Void where prohibited by law. The odds of winning are based on the number of entries received Open to US 18+ only. Confirmed Winner(s) (by Random.org) will be contacted by email. Winner(s) have 24 hours to respond before a new winner is chosen. Mom Does Reviews will be responsible for product shipment to winner(s) of this giveaway. My blog is not responsible for product shipment/delivery. This event is in no way administered, sponsored, or endorsed by, or associated with, Facebook and/or Twitter, Google, Pinterest. This disclosure is done in accordance with the Federal Trade Commission 10 CFR, Part 255 Guides Concerning the Use of Endorsements and Testimonials in Advertising. « Volcanica Candles Flash Giveaway ends @ 9pm PST 3 winners! Reeses candy is my favorite. I love chocolate and peanut butter. O Henry bars. I can only find the snack size around Halloween! Reeses is our favorite Halloween candy! Dum Dums. Always been my favorite. 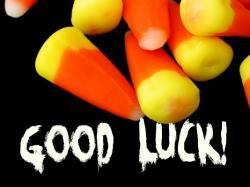 Candy corn (or the same type candy pumpkin). Candy Corn is the best! !